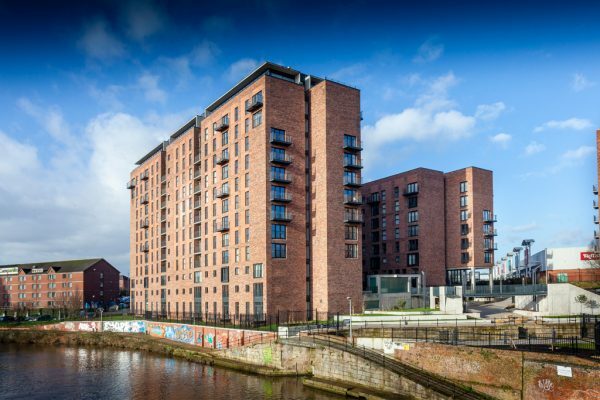 Wilburn Basin is a brand new high-quality housing development of nearly 500 homes in four blocks ranging from 8 to 21 storeys sited around the historic River Irwell Basin, Manchester. 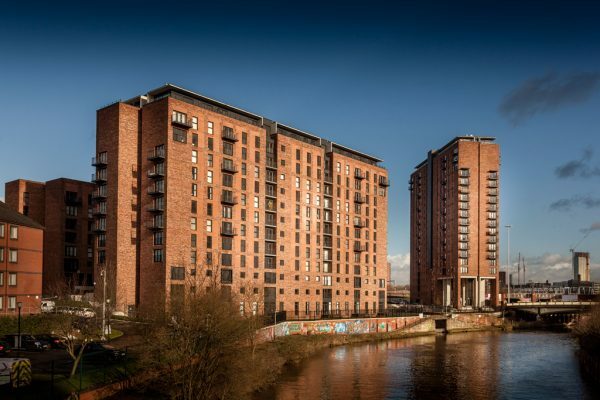 It offers an attractive waterside setting to residents yet is within a short walking distance of the city centre. 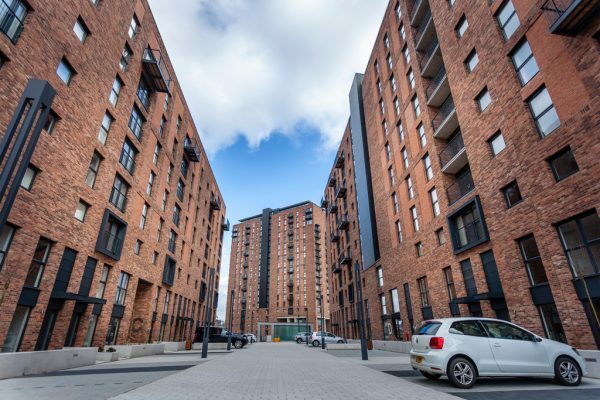 The main contractor Renaker specified PVC-U for the windows and doors because of its ability to deliver the aesthetics, performance and U values needed within the budget required. With a total of 1,200 windows, including stacked/ribbon windows, plus 440 sets of French doors needed, the contract was a demanding one. 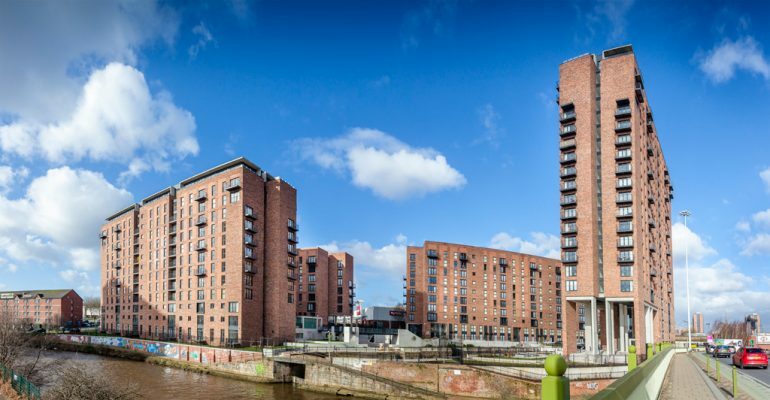 The specifications were exacting too, with high levels of acoustic glazing required on elevations that were located next to busy roads into the city centre, the railway line and a retail park. The high rise nature of some of the buildings meant that complex wind load calculations were needed to ensure the products met current standards. 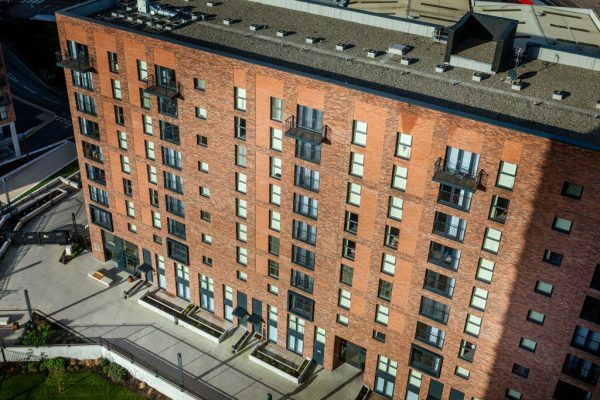 Main contractor Renaker awarded the contract to manufacture and install the windows and doors to longstanding Spectus customer Worsley Glass. 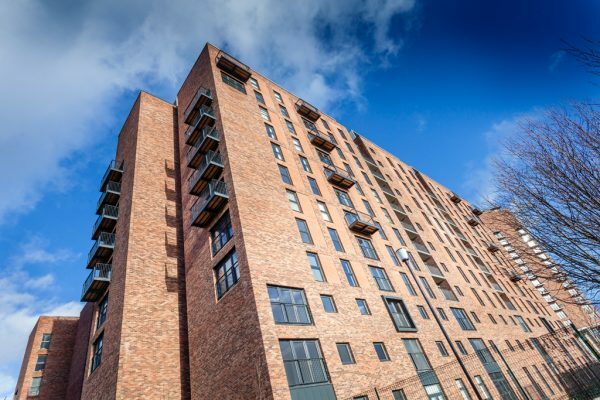 The two companies had worked together on previous projects and Renaker knew Worsley Glass had the quality and experience to deliver what was needed on time and on budget. Worsley Glass manufactured the windows using the Spectus Elite 70 system and used an Anthracite Grey (RAL 7016) Smooth on White foil finish. The windows offered an overall U value of 1.2 W/m² and the company achieved the high dB ratings needed to meet the specifications by using acoustic laminate glass backed with different thicknesses of low e glass.